Do you find yourself waking up in the middle of the night to your neighbor’s dog barking? It can be one of the most debilitating factors for a home. If you’re unable to enjoy peace and quiet, it can be very hard to relax. The house you live in should encourage relaxation and peace of mind! This is why we find sound pollution, the product of loud and obnoxious noises, to be such a burden. However, it doesn’t always have to be that way. There are many ways to reduce the noise levels in your home. 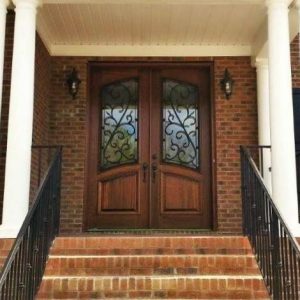 In our blog post today, we’ll go over how doors can protect from sound pollution and increase the value of your home. After all, what’s the point of having a beautiful home to cherish if you can’t appreciate it. Environmental noise, also known as sound pollution, is the spreading of noise which carries a harmful impact on the activity of an animal or human. Events including house parties, concerts, cars, pets and more. Essentially loud engines, loud music, and other distracting sounds qualify as noise pollution. Maybe you live near a construction site or a highway. They all contribute to degrading the quality of life for people in the surrounding area. Sometimes noise levels can get so high that people who are not participating whatsoever are affected by the sound. The effects of noise pollution can keep people from working, it can disturb them from sleep or simply bother them to no end. Noise pollution is becoming just as detrimental as light pollution in some places. What Doors Are Better For Sound Insulation? Unfortunately, a door is one of the more inefficient areas in a house that is susceptible to sound. There are a few factors that allow noise pollution to infiltrate households. Among those factors are the location or amount of doors you’ve built into your home. They are very large openings and not as thick or insulated as walls are. To avoid these issues, designers recommend that you construct doors in more fortified positions in the house. Places where there are stronger obstacles between you and the sound. Other ways are to make sure that each door is made very dense, with a solid core that is sealed well. Additionally, vinyl seals around the edges and carpeting on the floor near the door can also dramatically reduce the inefficiency. Finally, adding gasket stops or drop bar thresholds to the bottom of the door will help with noise cancellation. Contact us to reduce your sound pollution now! 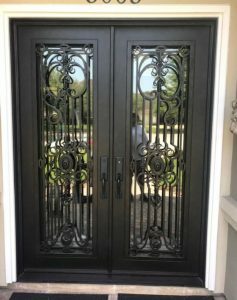 Southern Front Doors can provide you with a selection of doors that will satisfy your desire to control the sound in your house. We can create options that have all of the specifications you need and can even work with you and your designer to construct doors which will fit your house perfectly. Don’t settle for noise pollution, your home deserves to be enjoyed at your leisure — not their loiter! 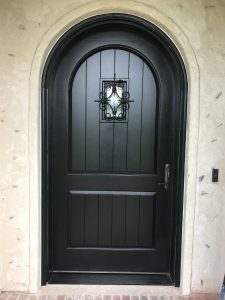 Come and visit us to find the best door for you now, we love to help our customers make additions that will truly increase the value of their lives.